The name of Luka Doncic will be prominently mentioned on Thursday night during the NBA draft. 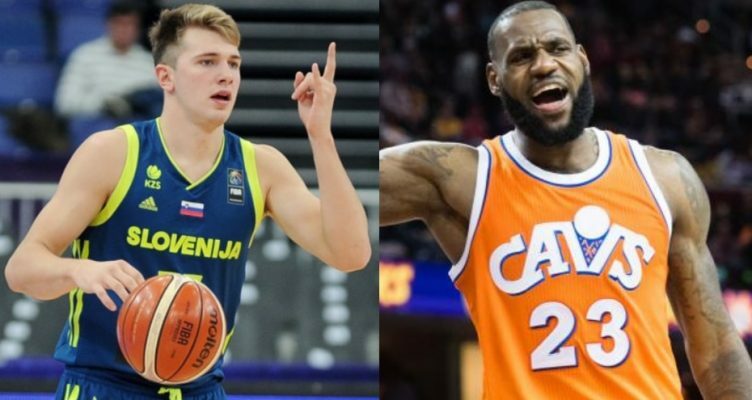 As one of the likely top selections in the draft, Doncic’s talent is undeniable, with NBA TV offering a profile of the 19-year-old native of Slovenia that indicated who his favorite player is: Cleveland Cavaliers forward LeBron James. Could Luka Dončić be the best player in this year's #NBADraft? “He’s my favorite, he can play in a lot of different positions. I can too, but to be like LeBron, I have to work much harder,” Doncic said. Uncertainty exists as to which team will end up selecting Doncic, but many comparisons to James stem in part from similarities in their development. James was the top pick in the 2003 NBA Draft after a spectacular high school career in which a number of his games were nationally televised. Doncic played international ball for Real Madrid and in exhibitions against NBA teams. Unfortunately for Cavs fans, Doncic will not be around by the time they make the eighth pick in the draft. Instead, they’ll be facing the phenom in the years ahead, which figures to be as challenging as opponents have found James to be over the course of his 15 legendary seasons in the league.